"Mr. Bhargava amazingly defended our company in a wage and hour lawsuit where we had no time records. His written and oral advocacy led to..."
Lauri Donahue has been practicing law for more than 25 years. She advises high-tech, media, and entertainment companies in the U.S., Israel, and the EU on matters including technology licensing, entertainment law, video game law, anti-piracy, antitrust, IP litigation, and patent monetization. Ms. Donahue also trains and manages multi-shore teams and teaches law in the U.S. and overseas. "Lauri is fantastic! She got back to us with a very thorough Terms of Service faster than expected. Would recommend her services to anyone." Based in Illinois, Bradley L. Schencker is a licensed attorney providing a range of legal services in the areas of family, business, and real estate law. He is also experienced in estate planning and counsels his clients on legal matters related to wills, trusts, probate, and guardianship, among others. Bradley holds a J.D. from the John Marshall Law School. 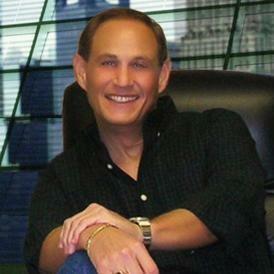 Martin Sances is a business attorney with more than 22 years of experience. He is experienced in contract drafting and reviewing, labor and employment law, and business formation. Some of his most recent clients include Allianz and ABM Industries. 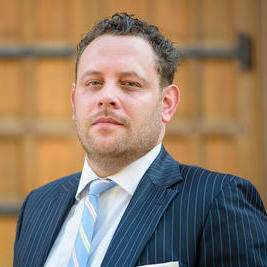 Martin is licensed to practice law in California. He obtained his legal degree from the University of Wisconsin Law School. He has been an attorney at Ramsey Law Group since February 2017. 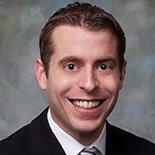 Andrew Finkle is a lawyer in Washington DC who specializes in immigration and nationality law. He also helps foreign nationals with investment and entrepreneur opportunities. His clients range from small startups to major corporations. Andrew is admitted to the Bars in the District of Columbia and Nebraska. Vincent Tong’s practice, Tong Law, is located in Oakland, California. The goal of his practice is to offer legal solutions that are practical while at the same time offering exceptional customer service. Tong Law is also proud to be a sustainable business: they run a paperless office, boast that their web hosting is 100% wind powered, and they use environmentally friendly products. Can A Minor Be an Independent Contractor? Why use UpCounsel to hire a Coldwater Employment Attorney? Our experienced Coldwater employment attorneys & lawyers can help guide you on how to proceed with various employee decisions such as reviewing employee documents such as contracts, agreements, policies, and handbooks, along with difficult decisions such as firing, lawsuits, claims, and complaints. A confidentiality agreement and a non-compete agreement are common forms of employee contracts that one of our Coldwater employment attorneys can help customize for your business. If your business needs to fire an employee, proper measures should be taken from a business legal standpoint to ensure proper communication and a smooth transition of dismissing that employee. In any case, we suggest you connect with our employment attorneys to discuss your options. Improve Your Legal ROI with Affordable Employment Attorneys that service Coldwater, MI. Want to Connect with Top Coldwater Employment Attorneys & Lawyers?